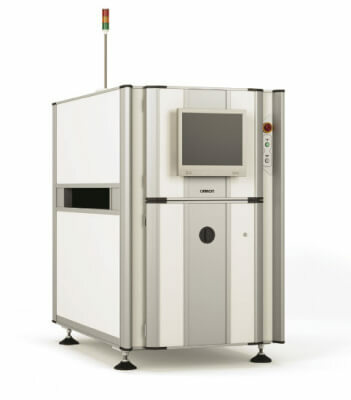 Very High Speed AOI machine with 3D Solder Joint Inspection capabilities. By minimizing program teaching and tuning times, the VT-S500 greatly reduces the inspection costs traditionally associated with AOI. 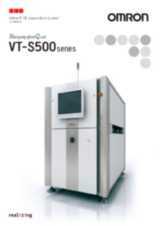 The VT-S500 is Omron's solution to providing next-generation, 3D inspection capability at minimal cost. With revolutionary 3D image processing, the VT-S500 accurately analyses the topographical features of solder fillets to ensure PCB quality and reliability. This 3D technology is capable of performing solder inspections that mimic IPC guidelines more closely than ever before. The Repair Station Software is compatible with the VT-S500 and VT-S720 systems. The software provides an offline solution for monitoring and repairing PCB defects discovered during inspection. It clearly illustrates all pertinent information to an operator. Using a split-screen interface, the operator is shown each defect with real defect images taken at time of inspection, a defect description, the component location on the PCB and images of good components for comparison. The operator can then simply view, reclassify or repair the defects. The Repair Station Software is a web-based application, allowing the program to run on any networked PC and eliminating the need for software installation and multiple client licenses.